Boston Stock Exchange Official Quotations - IFA Vintage and Current Book Library - Index Fund Advisors, Inc. 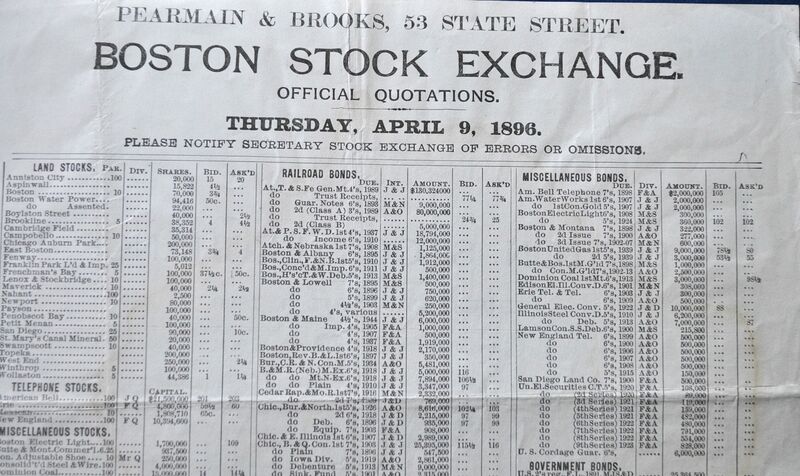 Original stock quotation sheet displaying the stock prices listed on the Boston Stock Exchange for Thursday, April 9, 1896. The sheet measures 19 x 10 and is in excellent condition. 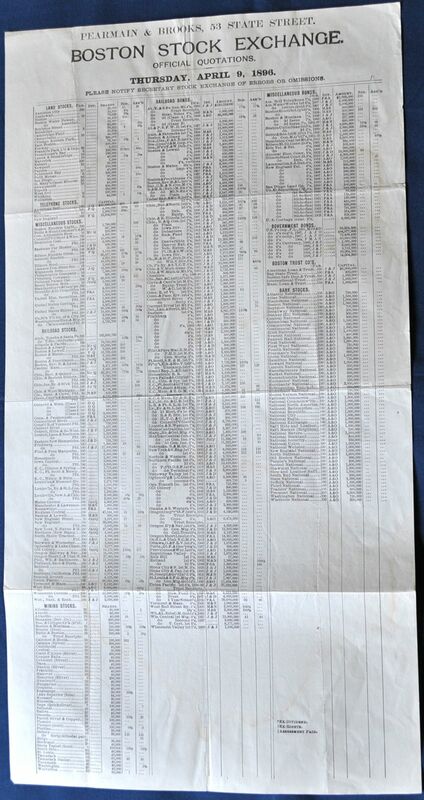 Daily quotation sheets such as this one were displayed inside bucket shops and brokerage houses. By the end of the day, they were discarded. This is a find example with no tears and very little wear. The ink is still dark on both sides.